It’s no secret than I’m a huge fan on Pinterest. I totally drank the koolaid. I’ve been using Pinterest both as a photographer wanting to get inspired for shoots and as a bride planning my wedding. It’s been invaluable for both. 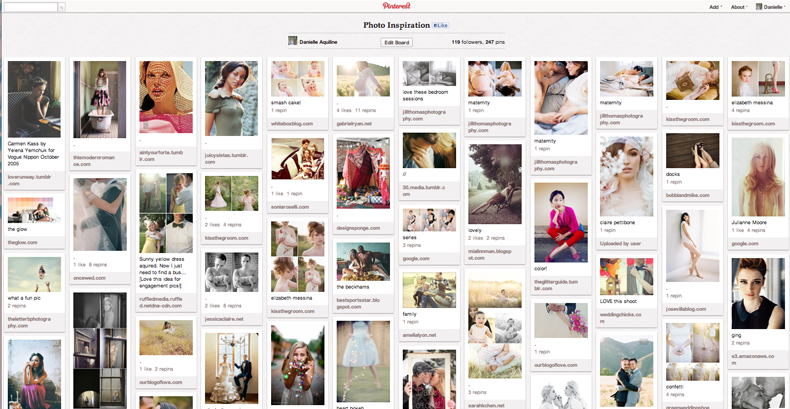 My most-used Pinterest board is the one I use to collect images for photo inspiration. A lot of the images here are from other photographers, and I have never been afraid to admit that I look to the work of other photographers for inspiration. Once, in a poetry workshop, a famous poet told me, “The best way to write good poems is to read a lot of good poems.” I think the same is true about photography. Until then, I’ll continue to pass on my ideas, my inspiration, and my “oh-my-gosh-can-we-please-do-this?” wishlist. Here are a few shoots that are on that list. 1. An at-home engagement session that takes place in a well-lit bedroom. This shoot from the fabulous Jill Thomas is beyond gorgeous. As I said, the success of this kind of shoot would depend largely on how much natural light you have in your home. But, if you’re lucky enough to have big windows, this could be so much fun! I like how romantic, intimate and casual these shoots are. Jose Villa has done quite a few shoots like this one, and I adore them all. Whether it is in a lake or a swimming pool, an ocean or a pond, I’d love to have a couple that’s willing to jump in feet first… literally! 3. A shoot inspired by a favorite film. I mean, who doesn’t love the movie Up? 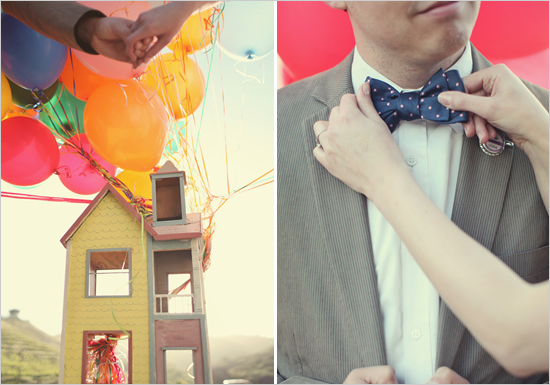 This Up-themed shoot is one of the most creative styled shoots I’ve seen in a long while. 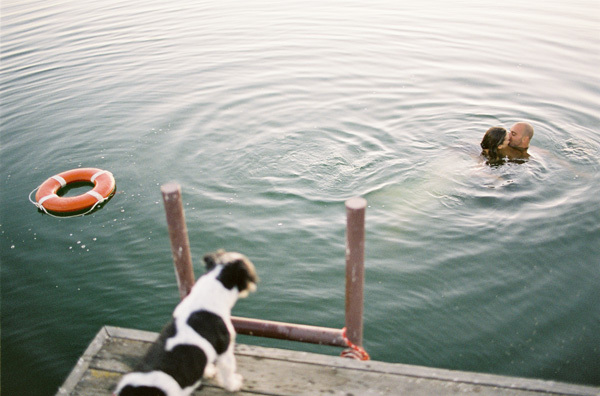 And I love that it was inspired by a movie that the couple–not the photographer–loves. This Notebook-themed engagement shoot is another fun one. What a great way to inform the mood and the costuming of a photo session! So, couples, here are my ideas. Let’s hear yours!